Game in which you catch potatoes to make stew. Is there a better alternative to ActionPotato? Is ActionPotato really the best app in Arcade category? Will ActionPotato work good on macOS 10.13.4? 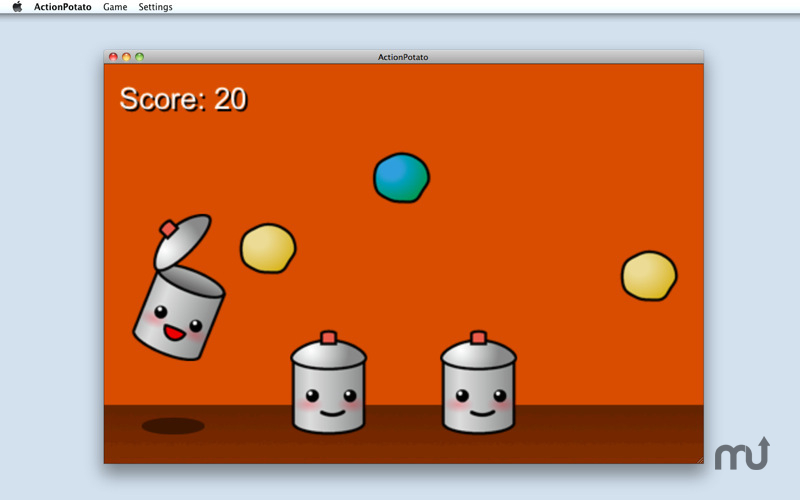 ActionPotato is a game in which you catch fresh potatoes to make potato stew! Click stockpots to jump and catch potatoes thrown from the right side. If they catch a rotten potato, you lose the stockpot. But if they catches a heart item, a stockpot comes back. ActionPotato needs a review. Be the first to review this app and get the discussion started! ActionPotato needs a rating. Be the first to rate this app and get the discussion started!